It is estimated that one in four of the adult population experiences pain. 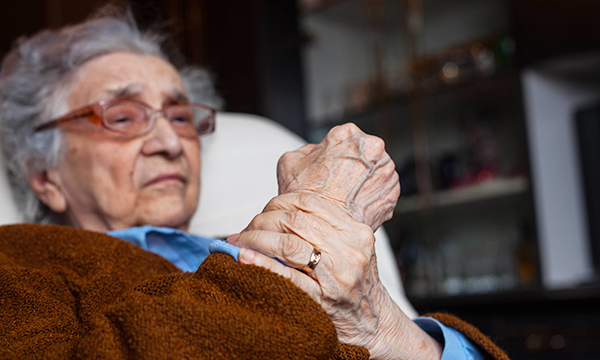 Up to 93% of older people have pain that is often expected to be ‘part of ageing’. About 50% of older people who live in the community experience uncontrolled chronic pain, but this increases to 80% in the care home population. Pain increases with age but then decreases after the age of 85. Studies have found that there is a greater prevalence of pain in women than men. The Assessment of Pain in Older People: UK National Guidelines aim to help healthcare professionals assess pain in the older population. They include older people with or without cognitive impairment. They address patient self-reporting and healthcare professionals’ assessment of pain. The guidelines were based on literature reviews and they build on the initial guidelines published in 2007. The guidelines recommend that training on attitudes to pain management for older people should continue throughout healthcare professionals’ careers and not just in the early stages. They highlight that the time healthcare professionals have to assess a patient’s level of pain is limited and that pain is a subjective experience rather than a biological one. When an older patient is self-reporting, the following questions may help to establish the presence of pain: ‘Do you hurt anywhere?’ or ‘What is stopping you from doing what you want to do?’ Using a range of alternative descriptions of pain such as ‘sore,’ ‘hurting’ and ‘aching’ is also recommended when asking questions. When treating patients with mental health and psychological problems, be aware that social isolation and/or depressive signs and symptoms may be indicators of pre-existing pain or the onset of pain. Attempt to locate pain in older people by asking them to point to the area that is hurting. People with cognitive impairment should be offered extra assistance with self-reporting by skilled professionals using adapted scales. 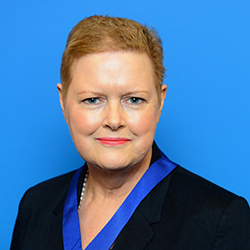 Felicia Cox is lead nurse for pain management at Royal Brompton & Harefield NHS Foundation Trust and is the chair of the Royal College of Nursing Pain and Palliative Care Forum. She contributed to the UK national guidelines. ‘It has been estimated that between 25-30% of adults have pain which is often associated with other co-morbid conditions and which affects quality of life. In older people there is a strong association between pain and depressed mood, and social isolation contributes to this. Pain assessment forms the basis of effective pain management, but may be hampered by language and communication and is often undertaken by the least educated members of the nursing team. ‘This new guidance aims to raise awareness of the need for education and the need to use a structured approach to pain assessment. Patients are able to self-report pain even in the presence of impaired cognition. Although subjective, patient self-report is the most valid and reliable indicator of pain.